The 2nd seeded Arizona took the practice court today in preparation for their Sweet 16 matchup against 11th seeded Xavier. The two teams meet for the 2nd time in 3 years in the Sweet 16. 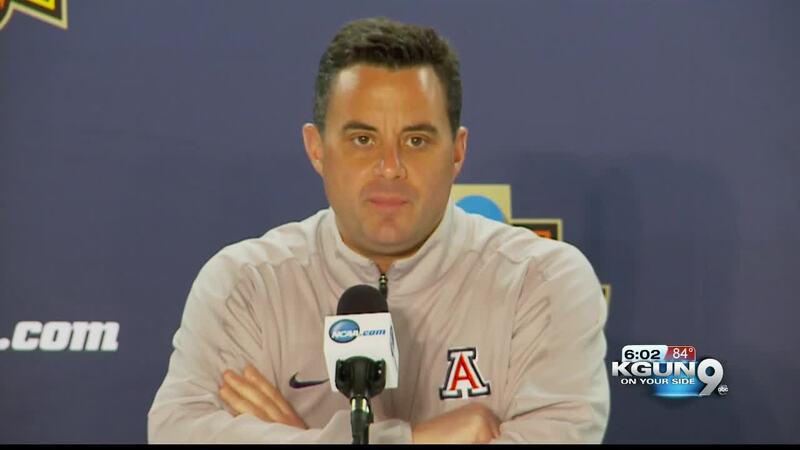 Something Sean Miller says shouldn't be that big of a headline this time around. "But how this has happened twice in the last three years or two years is amazing to me," says Miller. "If it happened in the NCAA Tournament, I think that's improbable enough, but to be here in the Sweet 16 round two of the last three years against these guys, you know, I wish it was different, but it isn't. And now that I've said that, the focus clearly is on both teams, the players, the great players on both teams and I think both programs are vying to stay alive and trying to advance." 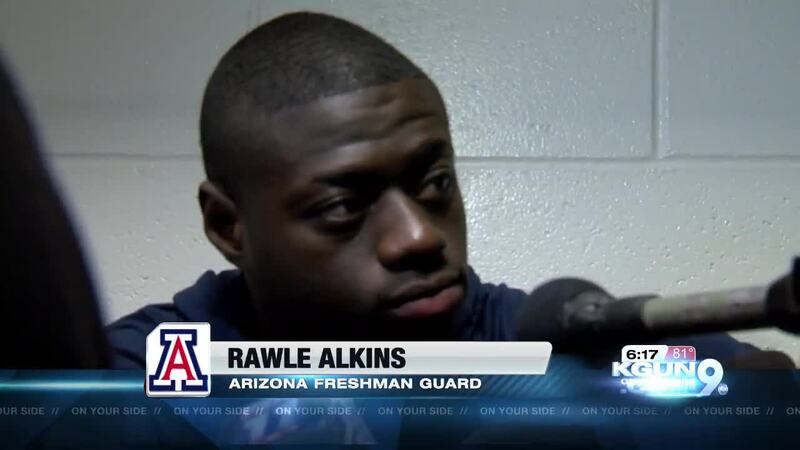 As for Freshman Rawle Alkins, who suffered a fractured, dislocated finger in Saturday's win against St. Mary's, he says he doesn't feel there will be any restrictions for Thursday's game." "I feel great," says Alkins. He says there is no way he won't be on the court on Thursday night. The Wildcats will tip-off on Thursday night against Xavier at approximately 7:09 p.m., or 30 minutes after the end of the West Virgina-Gonzaga matchup. The game can be seen on TBS.